Actress Sarah Jessica Parker attends the Accessories Council 20th Anniversary celebration of the ACE awards at Cipriani 42nd Street on August 2, 2016 in New York City. 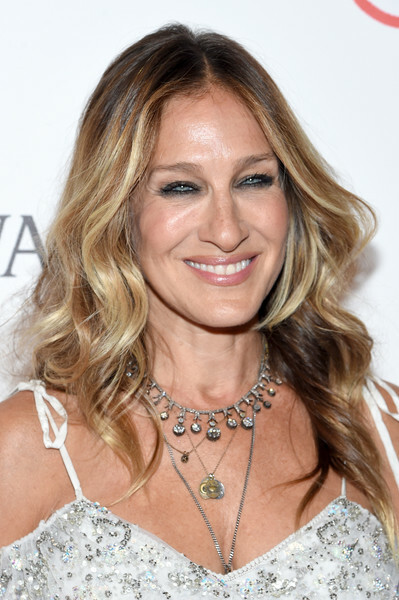 Sarah Jessica Parker styled her hair with boho-glam waves for the 2016 ACE Awards. Sarah Jessica layered on the jewels, including a gorgeous diamond collar necklace.